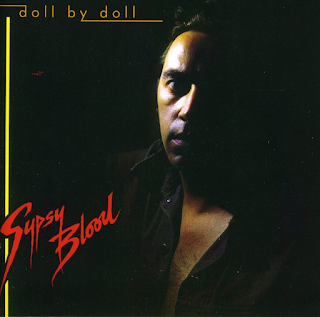 After their unclassifiable, quirky debut album earlier in 1979, the remarkable band that was Doll By Doll returned only a few months later with this once again excellent album. Whereas "Remember" was a wild, completely adventurous album with extended, genre-jumping songs, this one was slightly more polished with shorter, more defined songs. "Teenage Lightning" is a lively, solid rocker with a great drum sound, and the title track continues in the same vein, with Jackie Leven's oblique lyrics to the fore. "Stripshow" is simply a masterpiece - gloriously atmospheric, with Leven's voice both falsetto and then resonantly deep within the same verses. He really was a most underrated frontman and lyricist. It is a song, like many of the first album, that defies analysis. I honestly cannot categorise it. I just know it has one hell of a vibe to it. "Human Face" is another muscular mid-tempo but powerful number and "Hey Sweetheart" once again has Leven on peerless vocal form. There really wasn't anything else like this around in 1979. It is too joyous to be post-punk, yet too intense to be catchy new wave, too serious to be rock yet in possession of a rock'n'roll ear for a melody. "Binary Fiction" begins with a funky guitar and has a Talking Heads "77" feel about it. "Hell Games" is another beguiling song, with the usual perplexing lyrics, a post-punky drum rhythm yet vocals that go all over the place. This is certainly no dour, doom-laden song. "Forbidden Worlds" is light and uplifting in many ways. Full of sixties psychedlia-influences, maybe Love, or something like that, but in a late seventies setting, with a late seventies brashness of sound. Check out the bluesy vibe of "Highland Rain", again, impossible to give a name to. Its guitar solo near the end is quality. Like a madcap prog-rock. This really is a superb, unknown album. I can't recommend it enough. 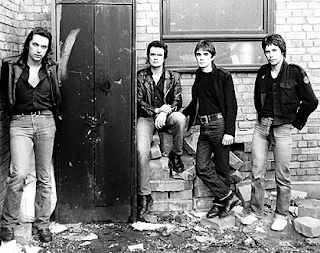 I believe the band, at the time, had a confrontational attitude with the music media and sometimes even with their own audience, and they just sort of imploded, which was a shame, because they really had something. Jackie Leven, however, went on to produce several similarly challenging solo albums.